Get the POWER at Tyrepower Boonah. As a member of Australia’s biggest independent tyre retailer, we’ll give you the POWER of big brands at lower prices. But we can give you the POWER of so much more ! With Friendly, expert advice on all your tyre, wheel, suspension, brake, mechanical repair and servicing needs for you vehicle, we’ll give you a customer service experience that will keep you coming back. So call us now and get the POWER at Tyrepower Boonah. 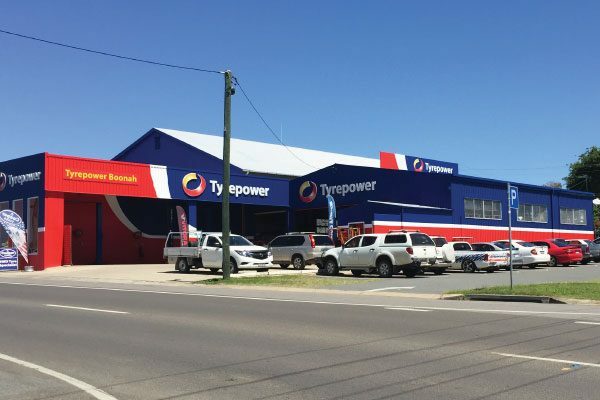 Tyrepower Boonah is a an independent family owned and operated business, we have been servicing cars, SUV, 4×4 and light Truck vehicles in the region for over a decade providing high levels of customer service to suburbs such as Templin, Allandale, Coulson, Charlwood, Dugandan and many more locations. We also stock a large variety of products such as Tyres, Wheels, Batteries, Brakes, Suspension, Steering, Car Servicing parts and accessories.